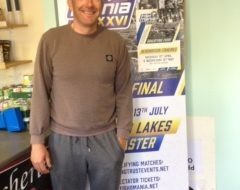 This year’s Angling Trust Division One National Championship saw fifty six teams, 560 anglers compete in a very close contest on Saturday 7th September on the Trent and Mersey canal between Rugeley and Burton. The temperature had dropped during the run up to the match, and a cold start to the day resulted in the better fish not feeding so well. This turned into a battle for bites from the smaller fish such as roach, perch and ruff. Top team on the day were Shakespeare Superteam with 442 points a fantastic average of 44 points per angler. They fished to a very tight team plan, which involved putting five or six balls of groundbait down the far shelf then fishing chopped worm down the near side for perch and ruff while the groundbait settled. When bites on the inside dried up they fished squatts over their groundbait hoping for small roach, perch and skimmers. Later they moved to the shallow line on the far side with chopped worm as the bait. They finished the match rotating these three lines to catch the extra few grams, which worked well on a hard fished water. In second place were a team with a first class record on canals, Maver Image with 429 points and again squatt and chopped worm tactics were the basis of their team plan. 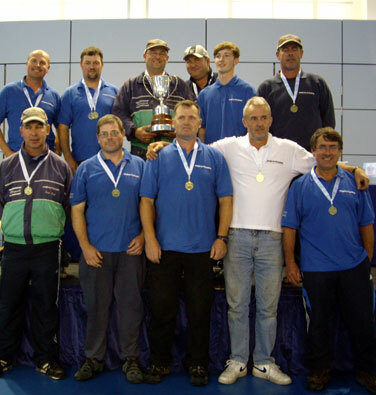 Third place went to Team Daiwa Dorking who are always in contention for any national title with their extremely talented team to total 416 points. The individual result was probably the closest in the contests history as just 10 grams separated the first three anglers, and it was these three anglers fishing to a strict team plan who were successful. In first place was Simon Fields (Barnsley & District) on peg C56 with a weight of 4 kilo 10 grams. Simon caught a mixture of small fish, mainly ruff, perch and roach fishing chopped worm close in, and squatt over groundbait on his far line. In second place on 4 kilos there was a tie between Matt Derry (Kamasan Starlets) on peg B13 and Jason Cunningham (Shakespeare Superteam) on peg C15. Both anglers used similar tactics to the winner, but missed out on the title by an elusive 10 grams. 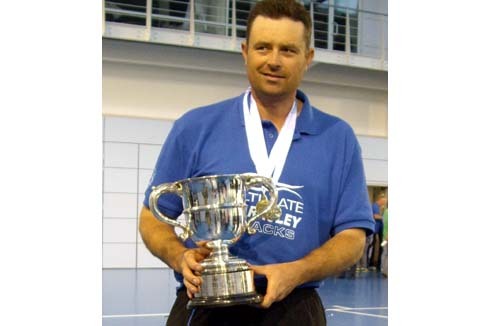 The top ten teams in the National Championship have qualified to compete in the Preston Innovations World Club Classic sponsored event, which takes place on the Great Ouse, Littleport AA waters on 28th/29th September. 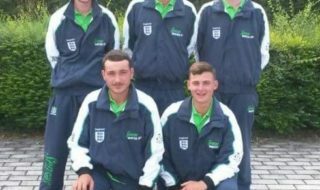 The winning team will represent England in the World Club Championship in Slovenia in 2014 with £7,000 first prize and £1,000 for the winning individual from the sponsors Preston Innovations. The Angling Trust would like to thank Burton Mutual AA and Coors AC for all their hard work leading up to the National Championship and on the day. 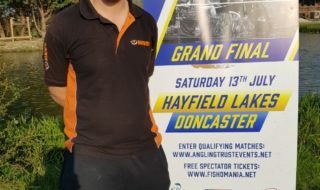 Next year’s Angling Trust Division 1 National Championship will be taking place on the River Trent on Saturday 9th August.